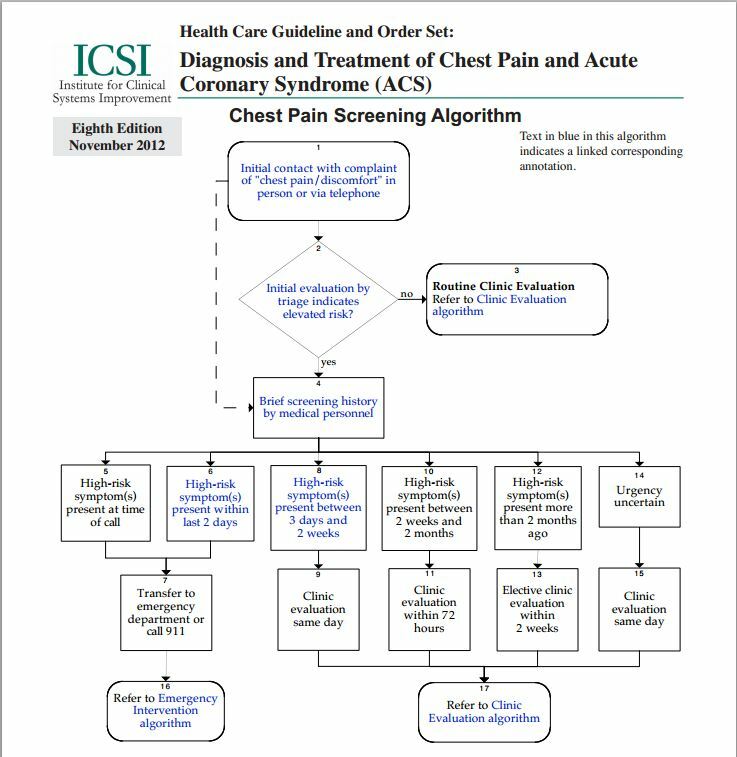 The following Chest Pain Screening Algorithm and the algorithm annotations are from the November 2012 Institute for Clinical Systems Improvement, “Health Care Guideline Diagnosis and Treatment of Chest Pain and Acute Coronary Syndrome (ACS)“. The complete set of algorithms are available at the preceding link. 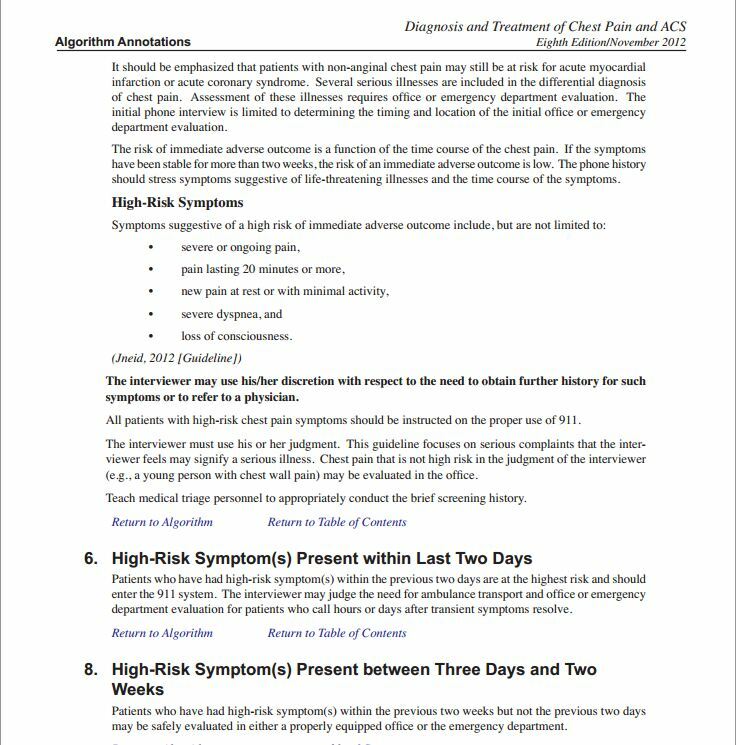 There are other important causes of chest pain, chest discomfort, and/or acute dyspnea and acute weakness besides Acute Coronary Syndrome–Always consider (and if appropriate) rule out pulmonary embolus, thoracic aortic dissection, acute heart failure, and other serious possibilities as clinically indicated. 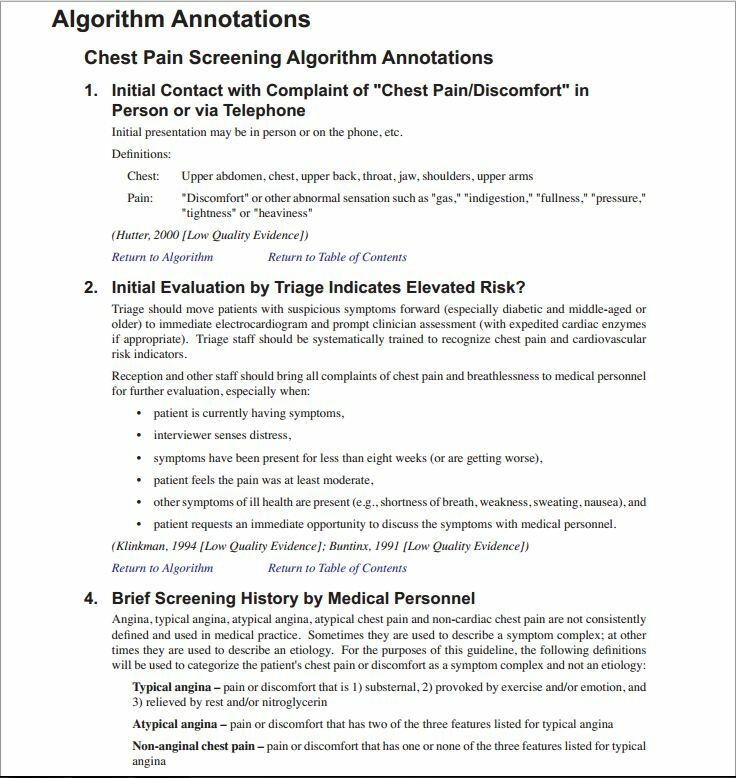 This entry was posted in Advanced Cardiac Life Support, Cardiology, Emergency Medicine, Guidelines, Internal Medicine. Bookmark the permalink.